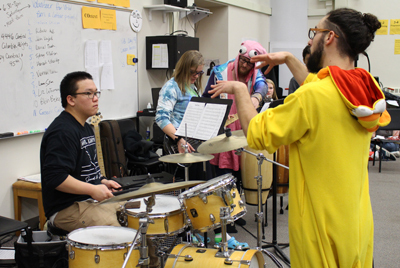 Fridley High School music students learned new skills and styles during a creative funk music workshop on February 16, 2018. 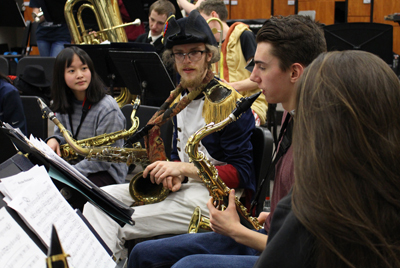 Midwest-based funk band Porky’s Groove Machine led the hour-long session for students in varsity band, jazz ensemble, concert band and choir. The six-member band includes Luke Rivard, Casey Frensz, Marshall Yoes, Matt Lowe, Nick Allen and Ilan Blanck. 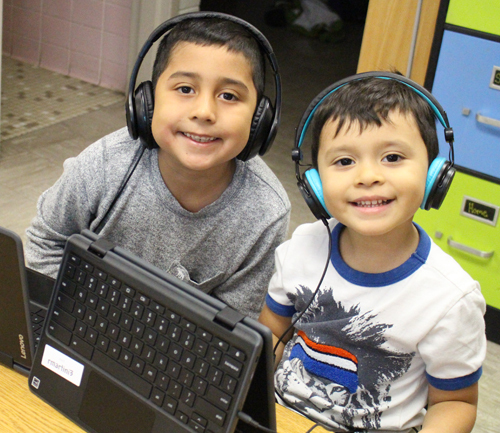 The workshop was designed to encourage creativity and fun with music at school, which can be difficult to incorporate during concert performance schedules. 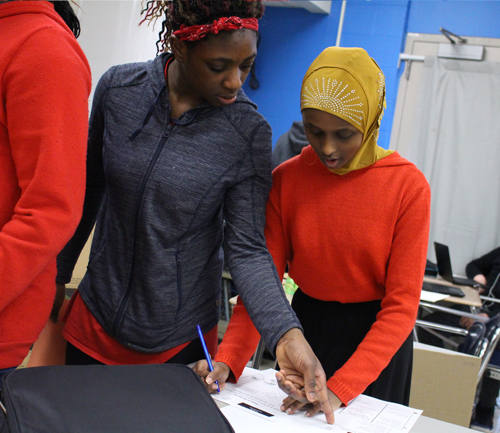 The workshop also teaches students about the vast variety and styles of music, and that musical skills learned at school can be built upon with a little jamming practice. “I think many high school music students don’t really realize what they can do with what they’ve learned,” said band member Ilan Blanck. Fellow band member Nick Allen agreed. “When I graduated high school, many of the best musicians who had been in school ensembles their whole lives just stopped playing, as soon as they didn’t have the director giving them curriculum. We want to give musicians the practical skills to just play, with their friends and for themselves, beyond your part, which can be a limitation because of how music is often taught at schools,” he said. Porky’s Groove Machine has released several albums and has toured around the nation. 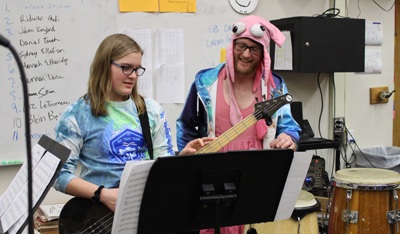 As all the band members are teaching music either at a school or in private lessons, the musicians decided to create the music education workshop to share with students across the Midwest. 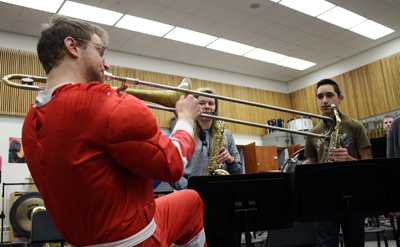 The band members agreed that teaching music education is incredibly rewarding. 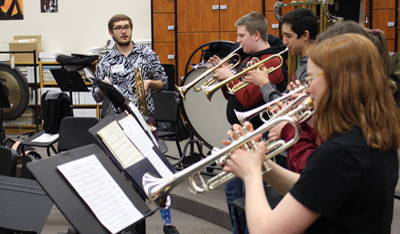 Fridley High School band director Becca Shuman was glad that this opportunity was provided to her students. She said Porky’s Groove Machine is a perfect example of what you can do with music beyond high school. “I loved that it showed kids that you don’t just have to limit yourself to one style of music and play in concert bands all the time,” Shuman said. Shuman said there is a lot of value in learning to play in an improvisation and jamming style. 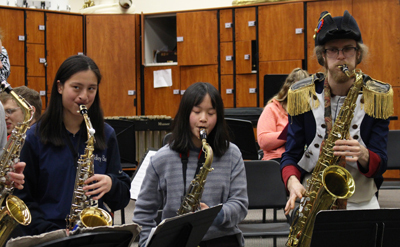 “Not only is it low pressure and really fun, it’s also great to learn how to communicate within the ensemble and listening and knowing what the other instruments are doing. You’re working as a team rather than just as a bunch of individuals. That’s really helpful for creating that group team effort that we look for in concert bands,” said Shuman.